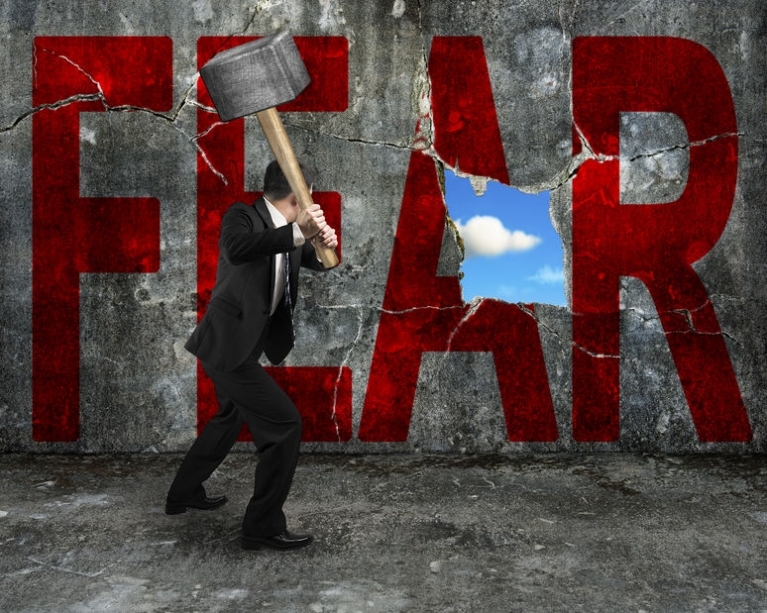 How often does fear affect how you fulfill your responsibilities as a change practitioner? Perhaps it is the mild, imperceptible, fear that you aren’t going to be able to complete the next deliverable on time. Maybe it’s a more conscious fear that the initiative you are supporting is going to miss a deadline, and—if you can’t get it back on track—you’re going to have to tell the sponsor. It could be that the mitigation recommendation you offered was a mistake. Or, possibly the sponsor you are supporting consistently acts and speaks in ways that are contrary to the role he has to fulfill in order for the change to be successful; you know you should tell him, and you know his ego is not going to want to hear the message. Neuroscience teaches us that fear triggers the amygdala—home of fight, flight, freeze, appease—in as little as .07 seconds. The stronger the trigger, the less able we are able to access the prefrontal cortex, the home of reasoned decision-making, innovation, empathy, and other aspects of thinking that bring the greatest value to our role as change practitioners; it takes .10 seconds to trigger that region of the brain. Quite simply, when we are not afraid, we can be of service to our sponsor and the changes we are supporting. When our thinking is guided by fear—conscious or not—we become servile. We no longer bring our best not because we don’t want to, but because our brains prevent us from doing so. In “Fear Is the No.1 Destroyer of Great Teamwork and Productive Workers. Here’s How to Remove It Forever, Says Research,” Inc. author Marcel Schwantes provides a preview to The Fearless Organization, a soon to be released book by Harvard Business School professor Amy C. Edmondson. In her book, Edmondson finds, not surprisingly, that “psychological safety is the antidote to toxic, fear-based management structures still so prevalent today.” Schwantes offers the following strategies as examples offered in the book for eliminating fear from the workplace. “Managers must ‘destigmatize’ failure and ​reframe it primarily as an opportunity to increase learning and growing. “Managers must become ‘don’t knowers’ who practice ‘humble listening’ and invite others to participate by purposeful probing to find out what others are seeing and thinking. “Managers must sincerely express appreciation for contributions by others. If you manage others, begin by working to eliminate fear on your team. If you advise those in leadership and management roles, coach them in how to eliminate fear in those whose work they oversee…and help them to understand why it is so critical to do so. And if you find yourself living in a steady state of workplace fear, examine whether it is time to find a professional opportunity that allows you to bring yourself fully to the workplace fear-free. After all, that fear you have in the workplace also travels home with you.